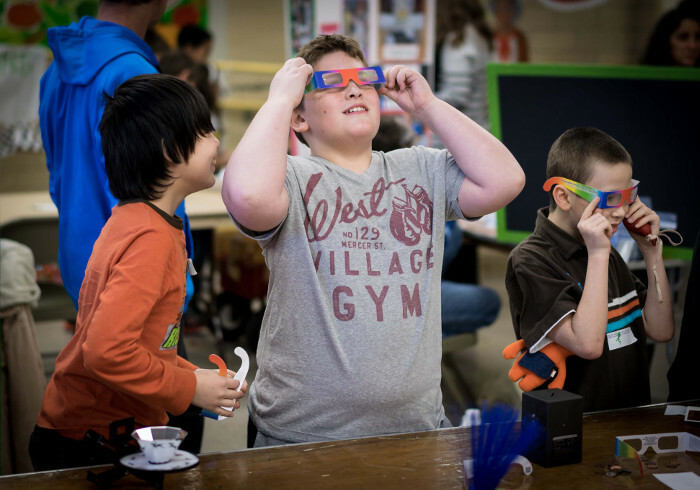 The K-5 kids at the “Transformations” Science Fair in Ithaca got a head start on learning optical science last week. Luckily CIAN provided us with several hundred pairs of diffraction grating glasses, just enough to cover the 300 elementary school students who learned about the colors hidden in white light. It’s a balmy 3° on a December night in Ithaca, New York. Wearing shorts, you walk outside and look up to see the bright, shining moon. 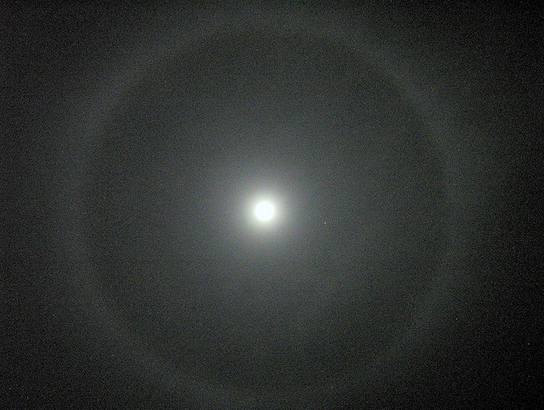 But circling around it is a mysterious halo. What is it? It’s not a camera lens flare. This circle of light actually demonstrates several neat features of light. In an earlier post I discussed how laser light is brought into waveguides on a chip. Now let’s look at some of the reasons we want to have light guided on chips in the first place. One device that shows the advantage of integrated optics is the ring resonator. It is a very compact device which allows precise discrimination of wavelengths.